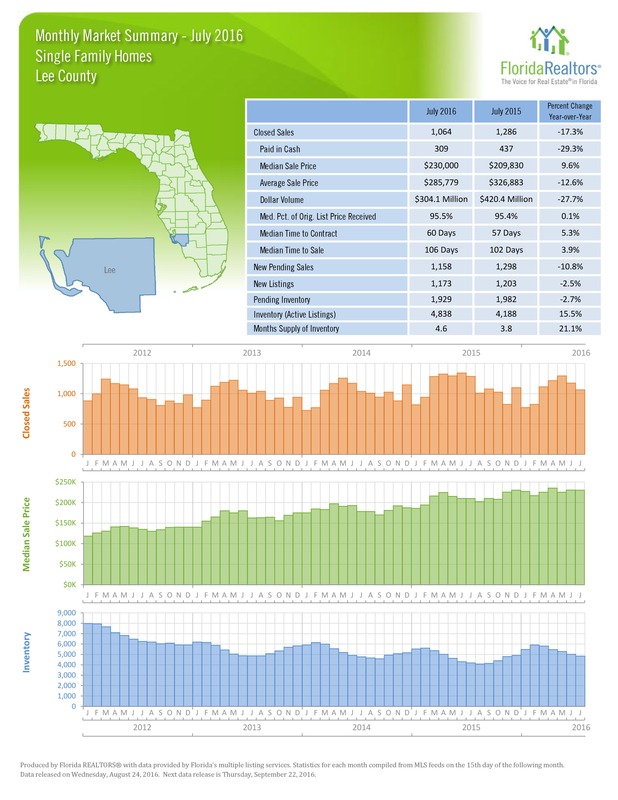 (Fort Myers, FL – August 24, 2016) – Active listings and inventory are up in 2016, but month-by-month, Lee County is still seeing a slight downward trend. Active Listings on Single Family Homes were up more than 15% in July than during the same time in 2015. There was a huge hike in Condos year-over-year – almost 41%. However, the number of Active Listings has actually been trending down over the last few months, and July was no exception. The Months Supply of Inventory also shot up last month, compared to July 2015. Condos saw a 53% jump year-over-year, however, Months Supply has also been trending down since March of this year. The Median Sale Price of a Single Family Home has trended up and down just a little since March. Condo prices have been trending down since April. However, over the last 12 months, Median sale prices are up – almost 10% for Single Family Homes and 3.5% for Condos. The number of New Pending Sales also dropped in July – nearly 11% for Single Family Homes and 19% for Condos. Sellers are still getting more than 95% of their asking price when it comes to closing time. Homes spent a little more time on the market in July – 3 days more compared to last year. 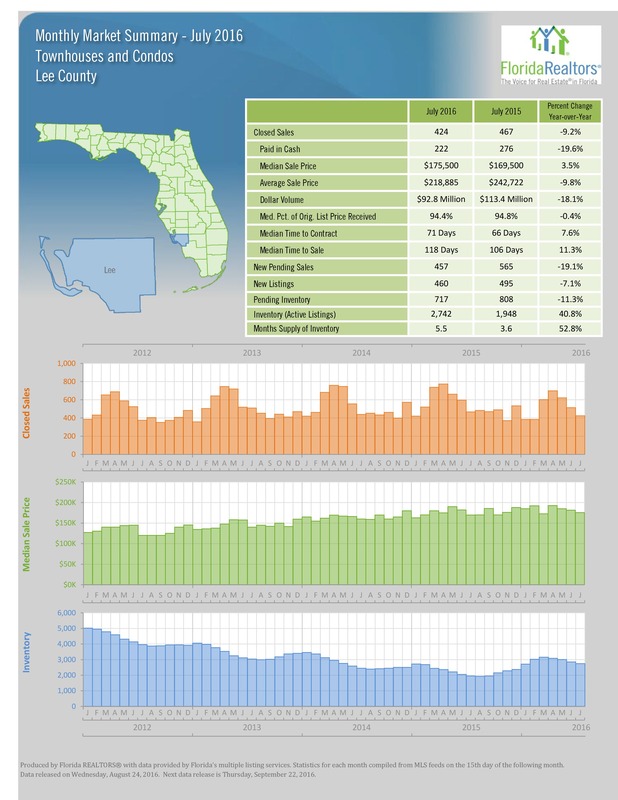 Fort Myers Beach listings are getting pricier – jumping almost 58% year-over-year. The Median price for a beach listing is now $710,000, compared to $450,000 in 2015. Information valid as of August 19, 2016. Please contact us for the most current information and status of these properties.